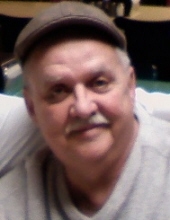 Robert “Bob” Alan King, 71, of East Moline passed away June 2, 2018 at his home. Per his wishes he will be cremated and there will be no services. Quad Cities Cremation Center is assisting the family with arrangements. In lieu of flowers memorials may be made to the family. Bob was born May 12, 1947 in Moline, IL the son of Thomas Jr. and Lilian Thompson King. He served in the Army during the Vietnam Era. Bob married Diane Ransom Dec. 13, 1975 in Rock Island, IL. He retired as an electrician from IBEW Local 145 and enjoyed woodworking, bird watching, hunting and fishing. Survivors include his wife Diane; daughter Jennifer King; son Jess King; granddaughter Lily Goldsberry; sister Marty Jeglum and brothers Thomas “Odge” King and Carl King. Bob was preceded in death by his parents; sisters Patricia “Pat” Green and Gloria Heydeman and a brother Richard “Richy” King. To plant a tree in memory of Robert King, please visit our Tribute Store. "Email Address" would like to share the life celebration of Robert King. Click on the "link" to go to share a favorite memory or leave a condolence message for the family.